A Full Service catered meal, fit for any occasion. Menus based on 40 or more people. Sample Menu, please email us for a free consultation. Choose 4 or 6 items. The Following sample menu is based on 50 or more people. Includes set up and clean up of buffet areas and food preparation. Choose four or six appetizers. Sample Menu based on 50 or more people. 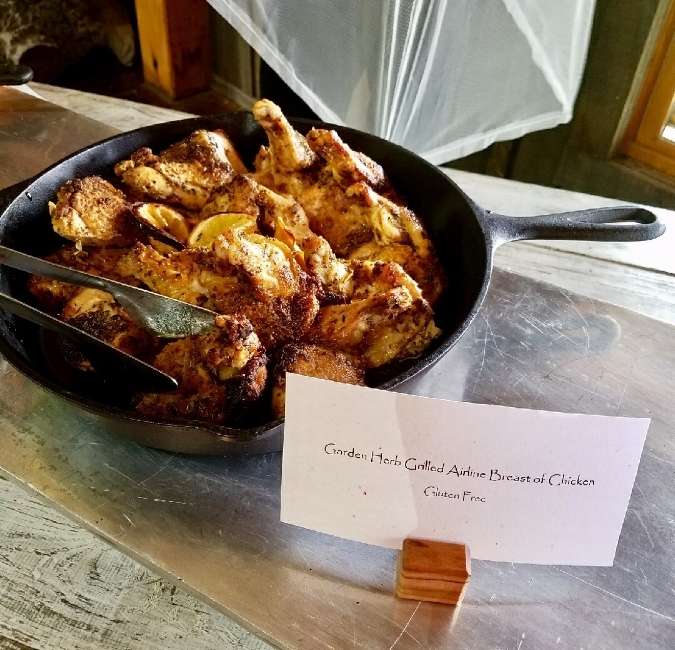 For an exciting and interactive experience for guests we offer Chef attended Stations where food is freshly prepared on site for guests. Menu includes food preparation, display and decor pieces for buffets, buffet plate, silverware roll, and iced tea or water goblet. Buffet Lunch and Dinner Sample menu is based on 40 or more people. Includes Sweet Iced Tea, Coffee and Bread Basket. All Desserts are Pre-Set. Follow us to see what we are cooking. Don't be shy, say hello!